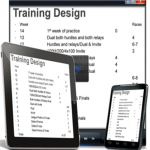 Track and Field Coaching Programs and Training Resources. 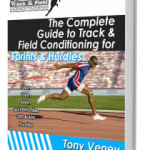 Within this site you’ll be able to access the entirety of Tony Veney’s CTF coaching programs and resources. Find the program you’re looking for by following the links on the menu at the top of the screen. Scroll over title of the program you want to watch. A drop down menu showing the titles of the chapters and/or videos in that program will appear. Click on the name of the chapter/video you want to see. Once you click play, the video will start as soon as it finishes loading, so give it a few seconds. Below each video, you’ll see a brief ‘Lesson Description’ highlighting the information covered in that particular video. You’ll also have the opportunity to download the videos to a hard drive for offline viewing. In many instances, there will be other supplemental information available for download/viewing. As part of your program, you have lifetime Q&A access with Coach Veney. Here, you have the option to ask questions and/or make comments about the content/information contained within the video/s on that page. Simply scroll to the bottom of the page and post your question or comment. 1. Check previously asked and answered questions to make sure you’re not asking something that has already been covered. This will make everyone’s life a little easier and keep the site from getting congested. 2. Keep your questions related to the information covered in that particular video. This should make things less confusing to your fellow coaches. Remember, Coach Veney will only answer questions related to general and specific topics related to that specific video. Questions about other aspects of training or other events will not be answered here. 3. Be patient. 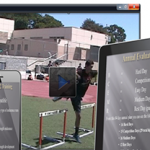 Coach Veney checks the site regularly and we check the site daily for unanswered questions. Coach Veney will get to your questions as soon as he can, generally within 24 hours.